TDC #59: Star Tours Two-Point-Noooooooo! 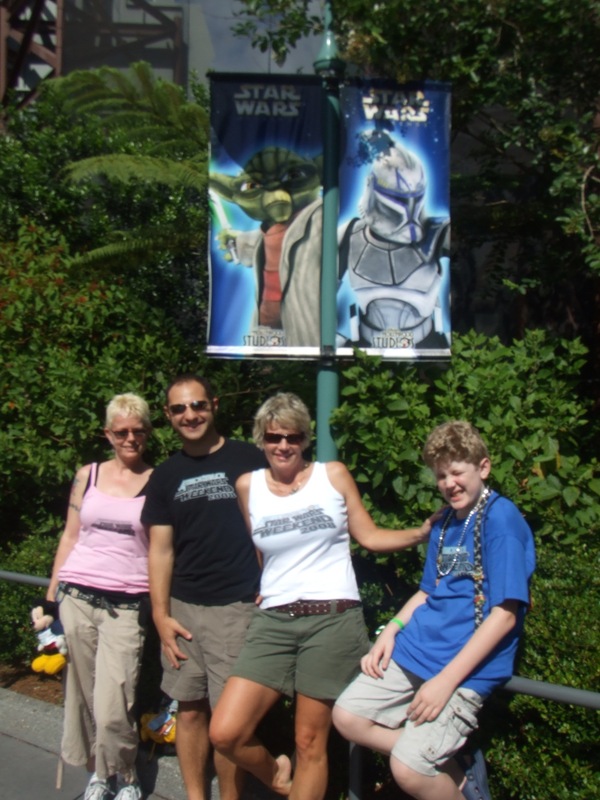 We sure do love our Star Tours! Not that we don’t get distracted by other things of course, including Jeff W’s karaoke hit, Disney Mountain High. We also recommend trolling for new rumors over at the StudiosCentral.com community forums, where there’s a current thread discussing the Slashfilm article above. This entry was posted in Disney, Disney Parks, Disney Parks audio, Disney podcasts, Disneyland, Star Tours, Star Wars, studios central by Jennifer. Bookmark the permalink. I’ll have to see if I can find a picture from Dragon*con last year of a cosplayer that was dresses as a mixed of Slave Leia and Jack Sparrow. Wow, now that’s some interesting crossplay. I’ll have to look for it this weekend and send it to you. jack in chains? the hair and make up possibilities are mind boggling! Found the pic. What is the email addy I should send it too? podcast@thosedarncats.net please! And if it’s okay for us to post it here (with credit of course), let me know. OK so Jen I need your help. I have been staying up late on Sat. to watch Adult Swim for the Clone Wars series. But I have been watching Bleach also. Since I started into the series late. Can you explain what is going on in this show. I get the fact there is this group of people who protect lost souls from these soul eaters. But that’s about all I really got from it. I like the show, but would like to understand what the hell I am watching. Please help!